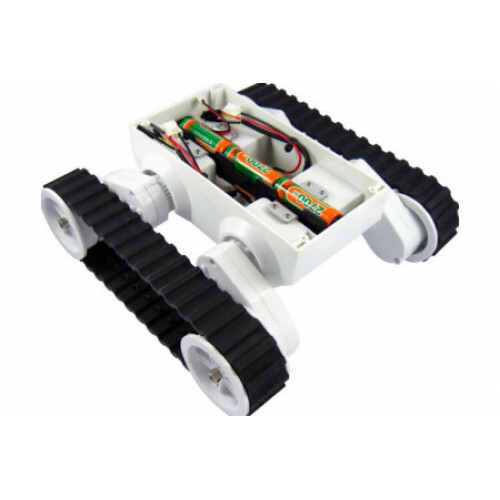 Rover 5 Tank Chassis is a new breed of tracked robot chassis designed specifically for students and hobbyist. 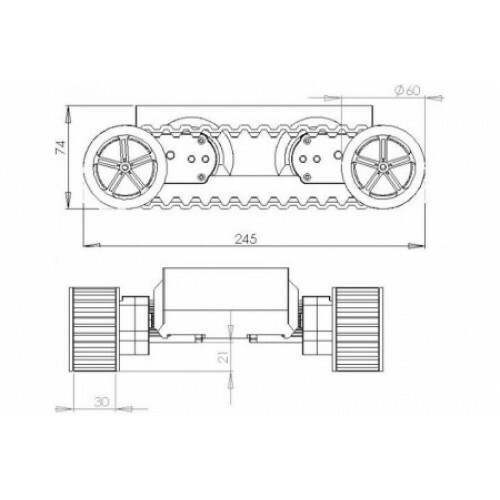 Unlike conventional tracked chassis’s the clearance can be adjusted by rotating the gearboxes in 5-degree increments. “Stretchy” rubber treads maintain tension as the clearance is raised. Inside of the chassis are 4 noise suppression coils at the bottom and a battery holder that accepts 6x AA batteries (not included). 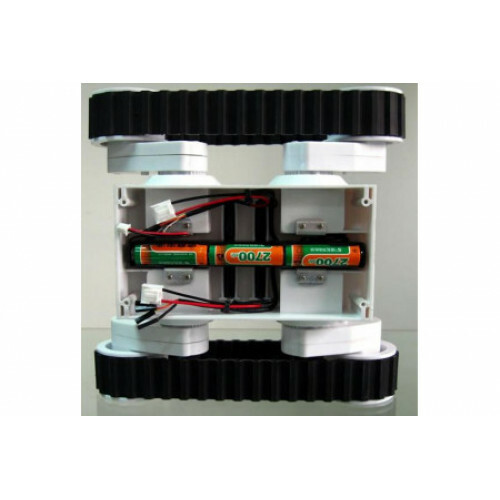 It is recommended to use NiMh batteries as they last longer and have a higher current output than Alkaline batteries. 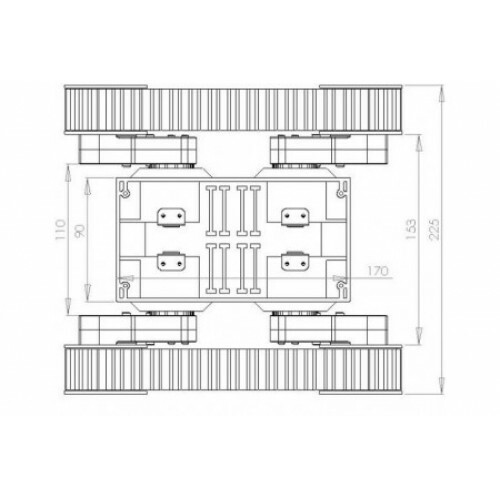 Each gearbox has an 87:1 ratio and includes an optical quadrature encoder that gives 1000 pulses over 3 revolutions of the output shaft. 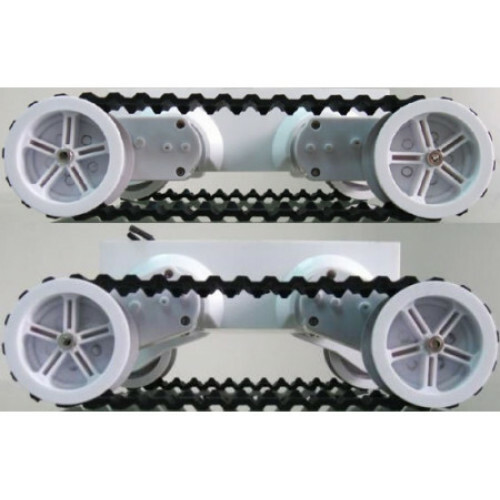 The chassis can be upgraded to include four motors and encoders making it ideal for mecanum wheels.